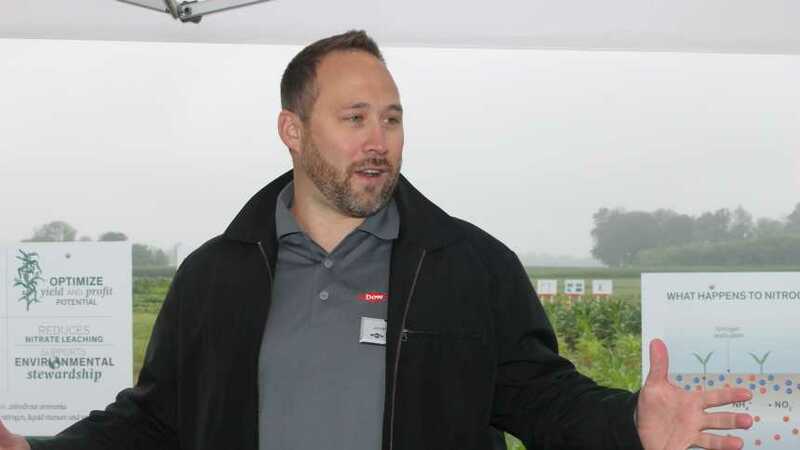 Dr. Jonathan Huff, market development specialist at Dow AgroSciences, told attendees at the company’s media event how N Serve and other nitrogen stabilizers could help growers in excessive wet years such as 2015. In general, media events held by large agricultural suppliers tend to focus primarily on what plans the company has in store for the next year or so. But at this year’s Driving Farm Solutions Media Event, held by Dow AgroSciences in early July in Indianapolis, IN, the company featured items that spanned at least four decades of Dow history, tying these to current events and an eye towards the future. Of course, another part of the Media Event was looking at new products Dow AgroSciences is launching for the upcoming 2016 growing season. One of these is PowerCore technology, which is a compliment to the company’s SmartStax traits portfolio. 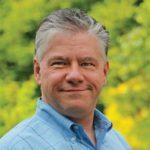 According to Dr. Kevin Steffey, technology transfer leader, PowerCore uses three different Bacillus thuringiensis proteins — Cry1F, Cry1A.105 and Cry 2Ab2 — to offer a wide range of pest control and reduce the risk of insects developing resistance to its use. In field trials, he added, PowerCore was shown to help control European corn borer, Southwestern corn borer, corn earworm, Western bean cutworm, black cutworm and fall armyworm. 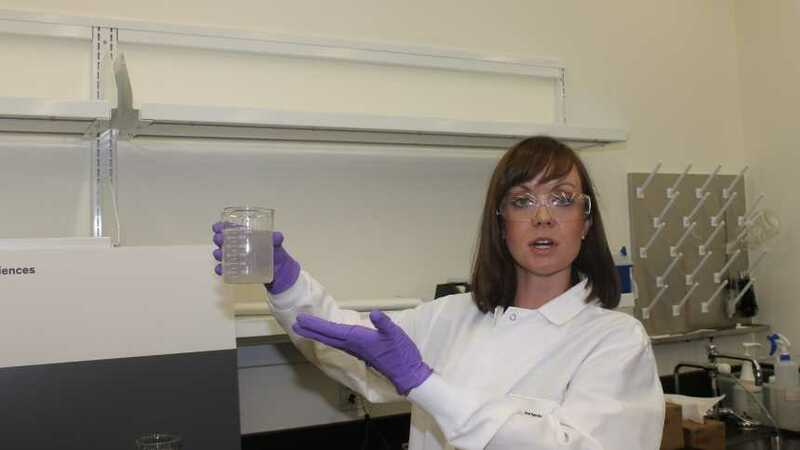 Melissa Olds, a formulation chemist at Dow AgroSciences, shows attendees at the company’s media event how Surveil mixes in water. In the herbicide arena, Dow AgroSciences announced that the EPA has approved its new Surveil pre-emergence residual product for use starting next year. A premix for use in soybeans, Surveil was developed to quickly disperse when added to water, said Melissa Olds, formulation chemist. Finally, Dow AgroSciences also unveiled the brandname for its new corn herbicide formally known as GF-3471. 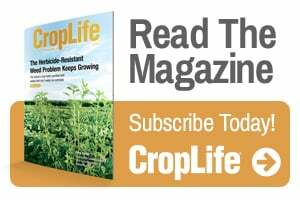 Now named Resicore, the product is a mix of three active ingredients — acetochlor, mesotrione and clopyralid — and can be used to control marestail, giant ragweed, Palmer amaranth and waterhemp. According to Peters, Resicore offers flexible application timing, and can be applied from preplant to early postemergence. Dow AgroSciences anticipates Resicore will be approved for use sometime during 2016, he added.